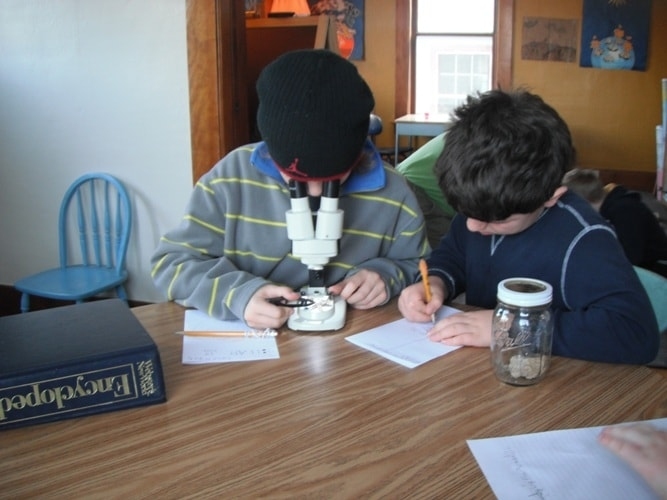 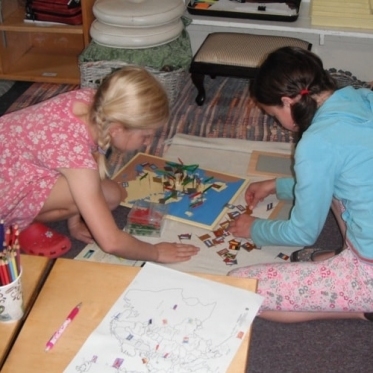 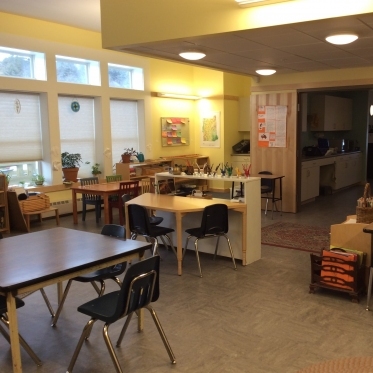 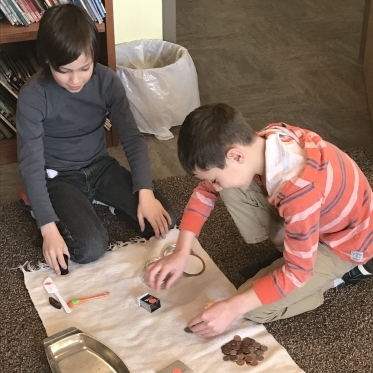 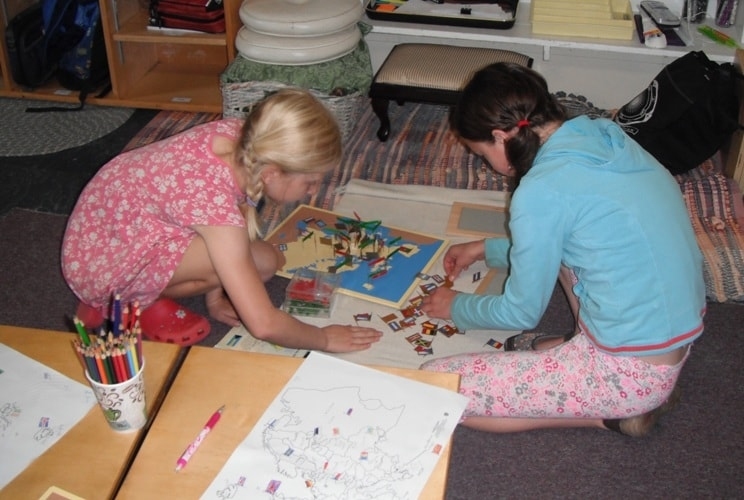 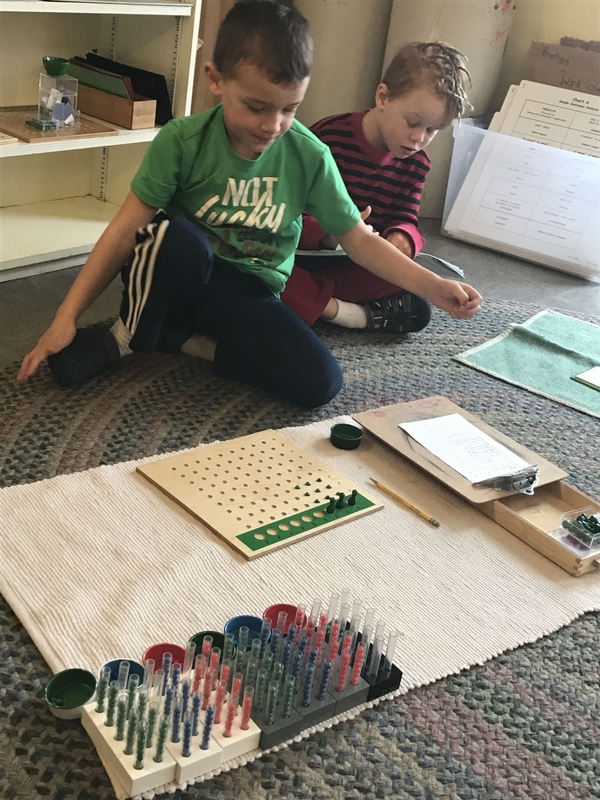 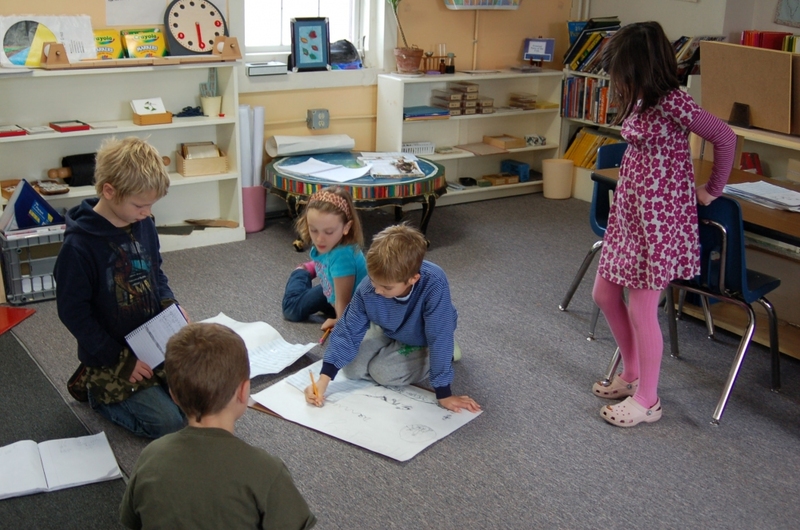 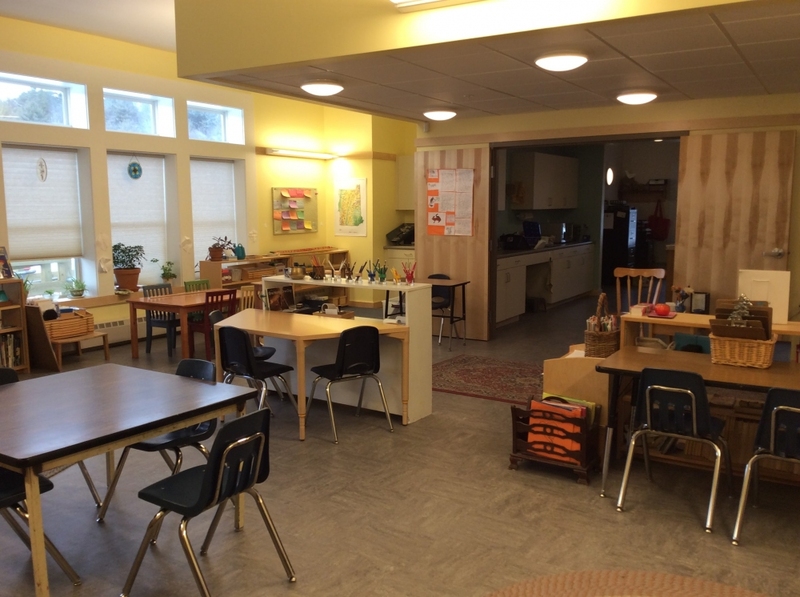 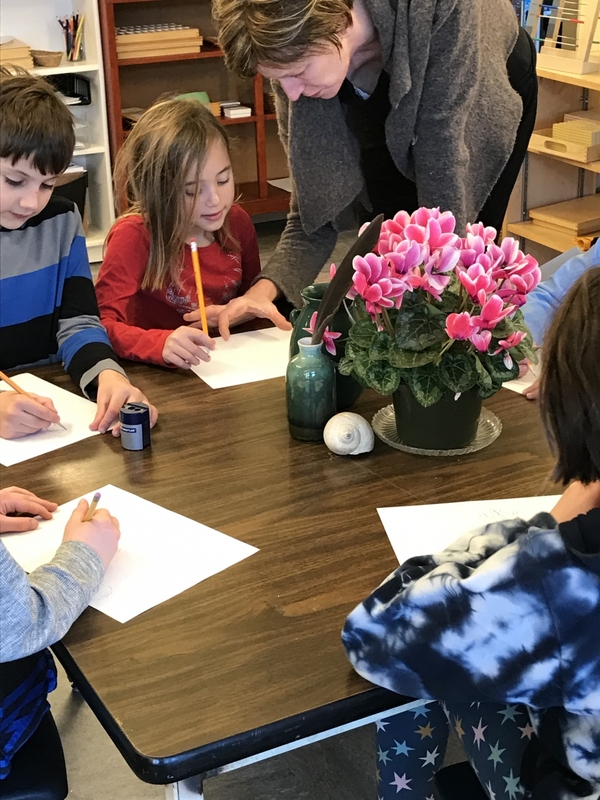 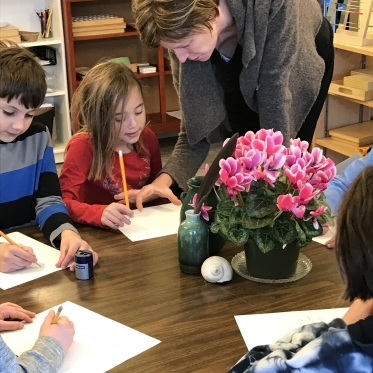 The Montessori Elementary classroom for children ages 6-12 is a dynamic learning environment in which children explore their individual interests while understanding their role within the classroom and society. 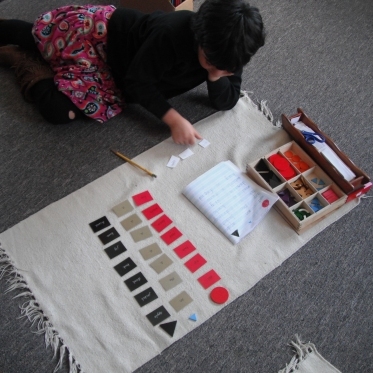 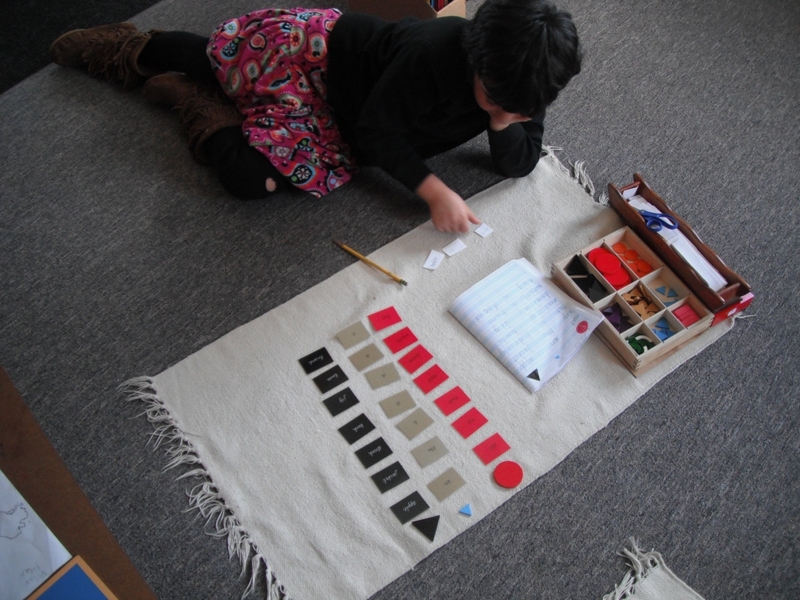 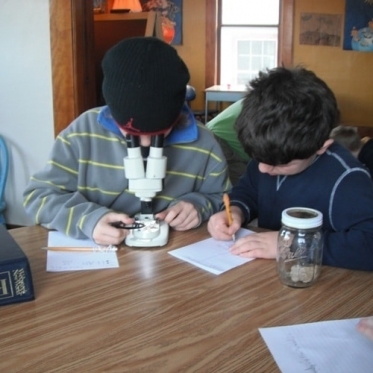 Cosmic education was the term used by Dr. Montessori to describe the elementary curriculum. 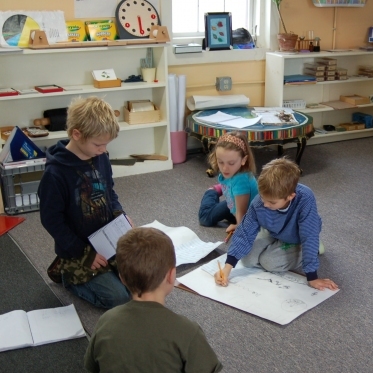 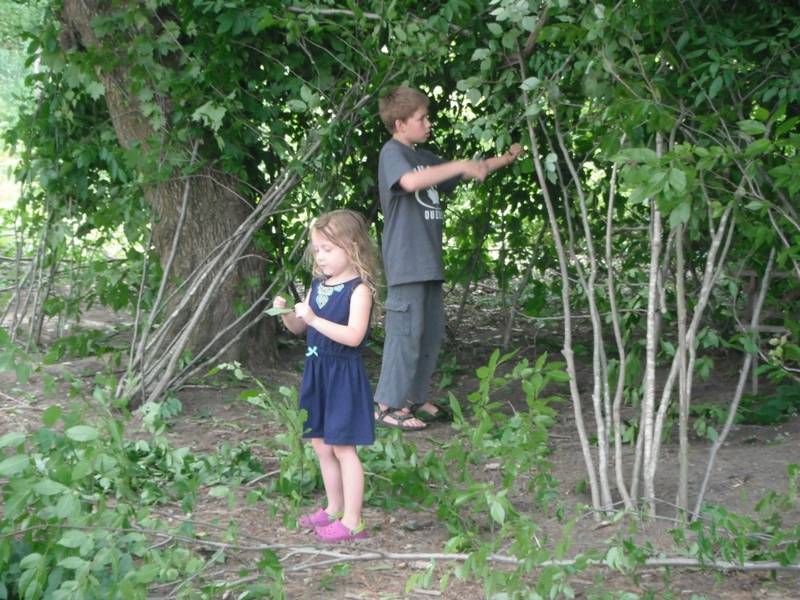 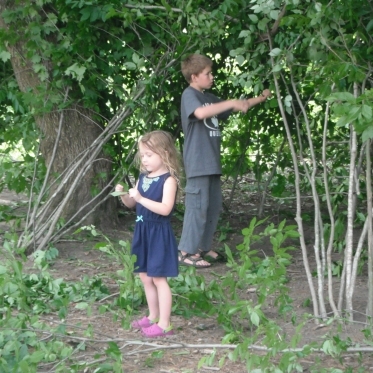 The curriculum aids the general development of the child’s understanding of his/her place in and impact on their community and the world at large. 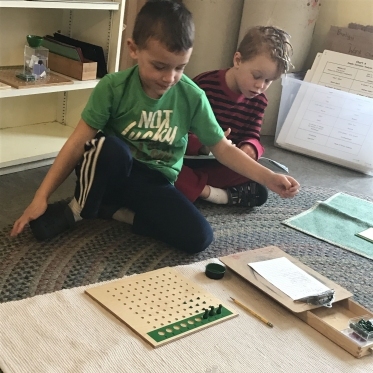 Math, language, geometry, geography, history, science and literature are just a few subject areas covered as the children explore individual interests after hearing The Great Lessons.